The CMDB series of high efficiency chassis mount DC/DC converters are single output modules with up to 40 watts of output power. 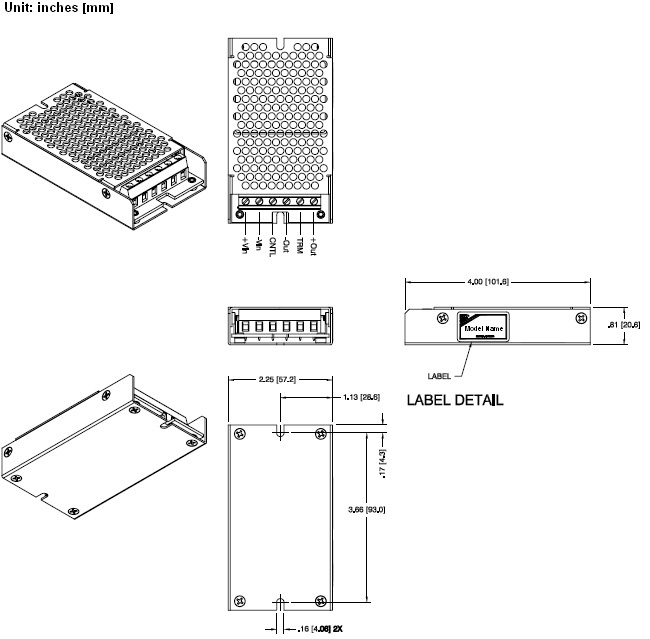 This product is ideal for telecom and networking applications, and is designed for a 2:1 input range of 9VDC-18VDC, 18VDC-36VDC or 36VDC-75VDC. Standard specifications include excellent load regulation, remote on/off capability, and short-circuit protection. Chassis mounts come in open frame, U channel, and enclosed types. Notes: 1. The ON/OFF control pin voltage is referenced to the negative input. 2. MTBF: BELLCORE TR-NWT-000332. 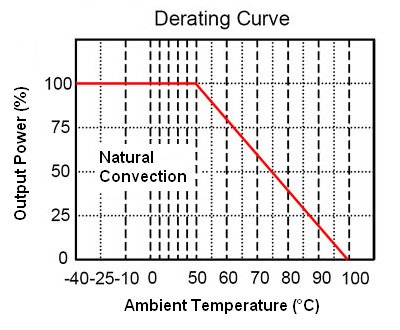 Case I: 50% Stress, Temperature at 40°C. (Ground fixed and controlled environment).